Vietnamese President Nguyen Minh Triet arrived in the Swiss capital of Bern on the afternoon of May 17 (local time), continuing his four-day visit to the European country. Earlier, President Triet held a meeting with President of the world football governing body (FIFA) Joseph Blatter at the FIFA headquarters in Zurich, where they spent much time on exchanging views on the World Cup 2010 that will kick off in South Africa next month. 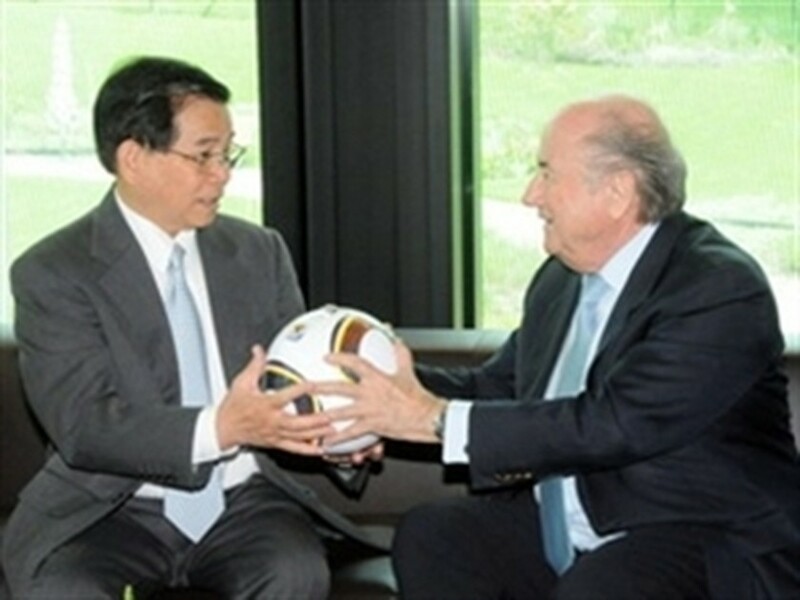 President Triet thanked Blatter for his due attention to football development in Vietnam and hailed FIFA’s programs designed to support the nation’s soccer development, especially professional football. Blatter, who has visited Vietnam for three times, said FIFA always creates favorable conditions, both technically and financially, for the national football federations of its member countries including Vietnam, via projects such as GOAL and Vision Asia. 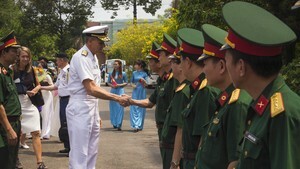 He said FIFA supports Vietnam’s proposal to host the U-20 Women’s World Cup in 2012, and informed FIFA’s plan to donate a large sum of money to foster football development, especially women’s football, in Vietnam. On the evening of May 17, President Triet - guest of Swiss President Doris Leuthard - met with the Vietnamese Embassy’s staff and representatives of the Vietnamese community in Switzerland. In Zurich, President received leaders of Credit Suisse – one of the world’s leading financial service companies - and attended a Vietnam-Switzerland business forum.